Kyanite is a high vibration crystal that never retains negative energy! 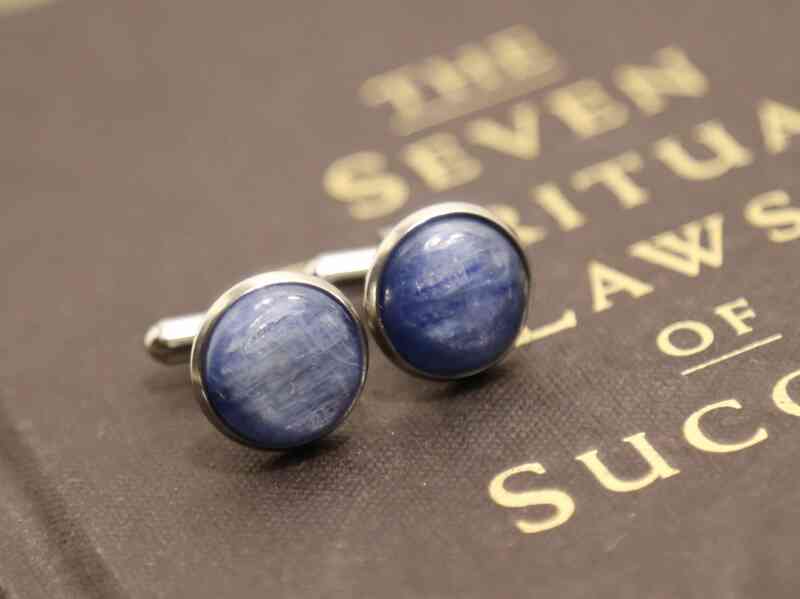 Kyanite, which comes from the Greek word Kyanos meaning "deep blue," is a healing, true-blue color. Kyanite is an uplifting stone that is known to elevate your mood, encourage logical thinking, align all the chakras and calm the mind. Kyanite is the crystal companion of the sincere, logical and trustworthy person aligned with his higher mind, always rising above earthly illusions and with the ability to perceive reality clearly. 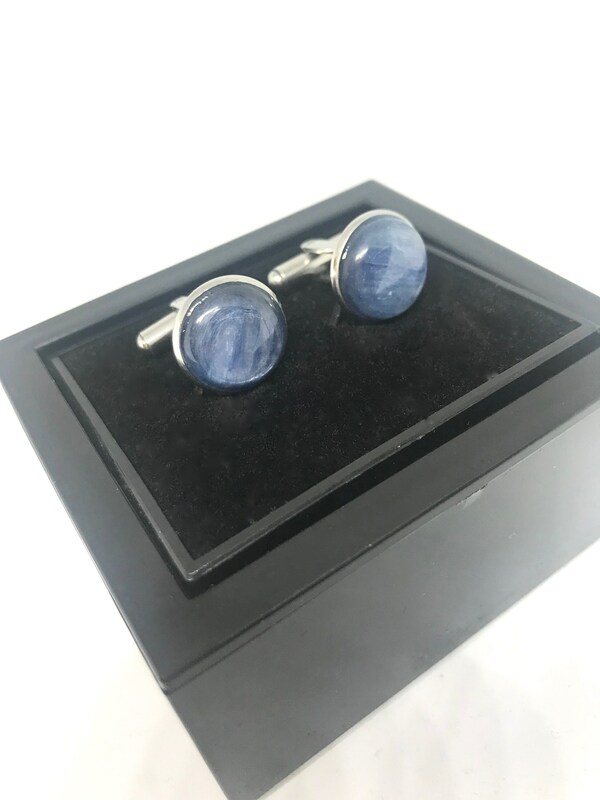 Kyanite Cufflinks come ready for gift giving in a unique cufflink box. Use the drop down menu to choose your setting: sterling silver (925), gold plated sterling silver, rhodium plated sterling silver, rose gold plated sterling silver, silver plated, gold plated or stainless steel. The stones are 5/8" diameter.